← Canteen North Platte, Neb. It’s probably safe to assume that most city officials desire to preserve their community’s resources — environmental and fiscal — in order to provide the best quality of life for residents. It’s probably also safe to assume that at the same time those same officials have likely experienced some levels of frustration due to unfunded federal mandates and struggled to come up with the resources needed to comply with those regulations. City officials in Springfield, Mo., have found a workable common sense approach to this situation by utilizing the Environmental Protection Agency’s approved integrated planning approach. Many of the federal regulations dealt with today were first instituted in the 1970s when the EPA realized the negative impact human actions were having on the environment and that steps were needed to correct and protect our natural resources for the future. The Clean Water Act, Clean Air Act and Resource Conservation and Protection Act were signed into law during that time period. Many wastewater, stormwater and solid waste issues are interrelated but are assigned to different regulatory departments and are under different legislation, and often, regulators don’t talk to each other, according to Springfield’s officials. This has created burdens on the community’s financial resources and has caused, in many cases, sewer rates and drinking water costs to escalate. However, the monies needed to fund these projects come from the same source — one municipality and its residents in the form of either increased utility bills, increased taxes or fees. So, according to Kemper, around 2012 after a public outcry, the EPA realized the burden this was creating and because of the Stoner Memo approved integrated planning. By definition an integrated development plan is a super plan for an area that gives an overall framework for development. Its purpose is to coordinate the work of local and other government entities and to offer a coherent plan to improve quality of life for people in the area. Like most cities, federal and state regulations were requiring Springfield to devote increasingly large amounts of money and resources toward protecting the environment while at the same time they were dealing with increased demand for public spending and growing levels of poverty among its residents. The city partnered with city utilities — including water, gas and electric — and Greene County to develop its integrated plan. “We decided to take a citizen-based approach,” Kemper said. 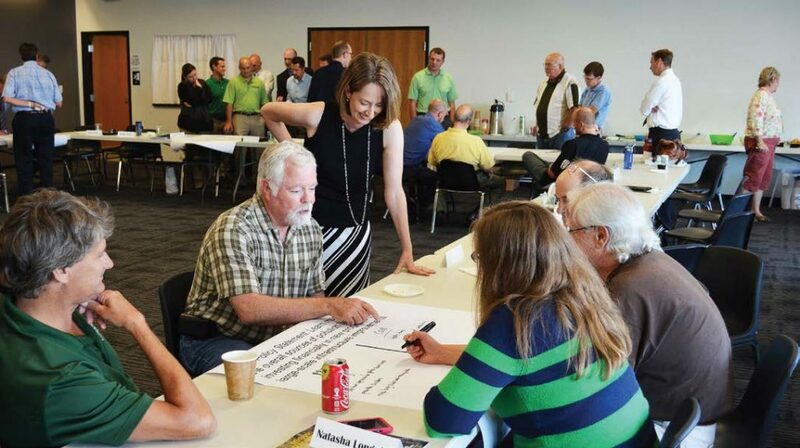 In 2014-15 they put together a task force called the environmental priorities task force made up of about 30 citizens to look at what the community most needed and where environmental fixes would be most effective for their residents. Kemper gave the example if there were two streams in town and everybody uses one to swim and fish while nobody uses the other, it makes the most sense to invest in the one that everybody uses — but that’s not necessarily the way the EPA would’ve looked at it. According to City Manager Greg Burris in a presentation given about the integrated plan, the federal government takes the siloed approach. One week the stormwater people may come to town and say this is what needs fixed and this is what you have to spend, and the next week the wastewater people come to town with the same message. So they created a timeline of federal regulations that the city would be required to comply with over the next 15 years beginning in 2009, and he said it was “frightening.” The timeline showed that Springfield, a community with a reputation of being a good environmental steward, was going to need to spend $1.6 billion dollars over that time period. Burris said city officials created an impact on poverty commission and determined the median income was $32,333, and more than 25 percent of residents were below that income. The EPA has determined that 2 percent of median income is affordable to spend on environmental issues, but when looking at those living at poverty level that 6 percent — 2 percent for stormwater, 2 percent for wastewater and 2 percent for air quality — it is no longer affordable. To identify the most significant problems, a team of experts conducted an 18-month study to determine every significant source of pollution and the type of pollutants produced to determine which would be the most helpful. “We had an epiphany — we discovered that sewer runoff was a low priority as a pollutant source, occurring only occasionally, while urban runoff was a high priority and had a bigger variety of pollutants and impacted everyone,” Kemper said. Next officials took a look at how to address the pollutants, and finally, they assessed financial liability and they received some guidance from experts. 1.) Community priorities — The newly created environmental task force sought to answer two questions: What are the most important resources and where should we focus our efforts? A survey was sent out to residents to get feedback. 3.) Prioritize solutions — Determine the sustainable return on investment environmentally, economically and socially for each solution. For example, if water quality in the stream is a priority and two solutions would be a new treatment plant or creating a rain garden to deal with stormwater runoff, which would be most affordable and do the most good? 4.) Financial capability — If 2 percent of the median household income is the benchmark provided by the EPA, how do any decisions made impact low-income families, the region’s ability to attract new businesses and the city’s ability to fund other critical projects? Kemper also said that the state of Missouri is willing to work with the city on getting its total maximum daily load impairment on the streams down as long as it continues to address the issue. In all, the TMDL numbers have gone down. The city has been issued several awards, including peak performance awards from the National Association of Clean Water Agencies and the Missouri Water Environment Federation for both wastewater treatment plants, plus awards from the American Public Works Association. 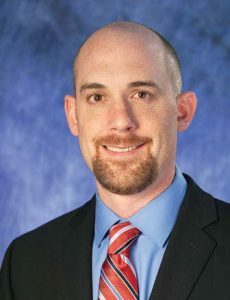 The former director of environmental services, Steve Meyer, testified before the House Transportation and Infrastructure Committee and the Subcommittee on Water Resources and the Environment in July 2014, and city representatives have given over 100 presentations across the country about their integrated planning approach. The city was one of five cities to receive an EPA Integrated Planning Assessment grant. Kemper pointed out that the integrated plan is “not a project list” like a master plan, for example, but the integrated plan could be used along with a project list. He also said because officials view things differently now, it’s allowed for better management practices, too. For example, on the stormwater side if a need exists, officials are able to get workers out in the field to fix the problem that day. “There’s not as much of a question as to ‘what should we do?’ Our staff has a better idea of what to do,” he said.